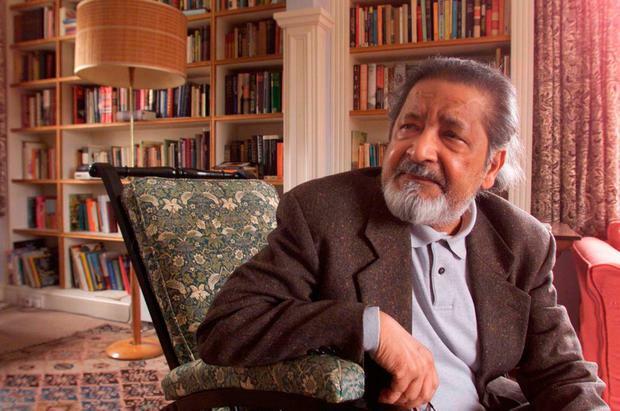 The writer VS Naipaul died on August 11, aged 85. This is not an obituary, but the article Ciara Dwyer wrote after she met him in his home in Salisbury in 2001. She went to meet a brilliant and prolific writer, whose works were full of humanity, yet there was not an ounce of it face-to-face. He was abrasive and arrogant, and she was kicked out after her third question. Ciara had taken a plane and train to meet him. In the past he had treated other interviewers and even friends with similar disdain. The drama of the day made for an interesting article for our reporter, which was re-published in other newspapers around the world and even translated into French. Naipaul had suffered terrible poverty as a child and was plagued by anxiety. As a student at Oxford University he was so depressed he tried to gas himself but at the crucial moment the meter ran out of money. His life was blighted by his woes. He was almost 70 when Ciara met him. Looking back, she wouldn’t have changed a thing. “I think if I had met him a decade later he would have been the same cold creature. I never read his books again,” says Ciara. SOMETIMES when you hear an interviewee has a reputation for being difficult, you have to take it with a grain of salt. Journalists are not without flaws. They can ask dumb questions. Without any warm-up they plunge straight in with the killer questions, and screw everything up. Journalists can make a hames of it and then blame it on the interviewee, giving him the label difficult. The writer VS Naipaul has a reputation for being difficult. In the past he had sent a journalist away as he didn’t think he had sufficient knowledge of his writings. On live television interviews Naipaul has been known to sit sphinx-like, staring into space, when he thinks the questions are beneath him. But Naipaul is a brilliant writer. From his tragic epic A House for Mr Biswas, which is Dickensian in its breadth, to his latest book, Half a Life, to his non-fiction, which has dealt with India, Eva Peron, and socio-political problems, the man is a fine and prolific writer. And he is almost 70. One of the privileges of old age is that you have earned your stripes. For the sheer stamina of surviving and, in Naipaul’s case, for consistently writing, it is almost a divine right to say whatever you goddamn like. Vidia Naipaul has also been officially lauded for his literature. In 1990, he was knighted by Queen Elizabeth. Vidia is one of the finest prose writers around. He would be worth my getting up at five in the morning, flying to London and then taking the hour-and-a-half train journey to his home in Salisbury. The Naipauls had kindly arranged for a taxi to meet me at the station. John, the driver, knew them well. We arrive at the house, a beautiful cottage surrounded by a regimentally neat English country garden. I’d say you’ll get on fine, John says. He walks me up to the Naipauls’ door and rings the bell. Nadira, a tall, smiling woman, opens the door and greets me warmly. Hello, Lady Naipaul, I say. Call me Nadira, she says. Seconds later VS Naipaul descends the stairs. Hello, I say. As I shake his hand I ask: Which would you prefer I call you? Sir Vidia or Mr Naipaul? He turns and looks to Nadira. What do you think, Nadira? There is a slight hesitancy. Sir Vidia, she says. He nods at her decision. So Sir Vidia and I go into the back room. Then there are more decisions to be made. Where will I sit? Where will Sir Vidia sit? Nadira is consulted once more. He is sympathetic about my early start and long journey. He insists that I must have some coffee and Nadira departs to make some. We talk a little. The book is full of the correspondence between Vidia and his father. Vidia was studying English in Oxford, courtesy of a scholarship. His father, back home in Trinidad, was a journalist but yearned to be a writer. In the letters the two men talk about life, literature and their struggles. Vidia nags his father about writing stories. In turn, Vidia’s father encourages his son to write. His letters are full of great advice: Don’t care to please any person but yourself. Only see that you have succeeded in saying exactly what you wanted to say without showing off, with utter, brave sincerity and you will have achieved style because you will have been yourself. In the course of the conversation I mention a writing course and Vidia is all curiosity. The man seems so reasonable that I wonder what all the trepidation is about. Teddy bear he may not be but he is approachable. Before we begin the interview, I tell Vidia that I want the article to reach his readers but also I want people who might never have heard of him to go away and possibly read his work. He tells me he is not interested in the second group. If they are not reading him already, forget it. He flicks his fingers dismissively. I say that I would like to share the pleasure of his books with others. Then I cite the example of the recently deceased Indian writer RK Narayan. Since I read his obituary, I began reading his books. They bring me much joy. “I am not dead. I am living, you see,” Naipaul says and even laughs. We agree to disagree. I admit to him that I am a bit terrified, that his reputation as a difficult interviewee precedes him. I invite him to tell me straight if he does not want to answer the question, as opposed to his silent gaze. I mention the journalist he sent away. “I sent many away,” he corrects me. “Nothing was lost. No one lost anything by that,” he says with utter certainty. I look down at my page of questions, hoping I am not the next one to be banished. So many questions. Where to begin? “We can talk about the writing course you do,” he offers. “I’m willing to talk about that. I’ve just had a letter this morning asking me to put my name on a list of people who will support a writing course. A kind of government initiative. “I can’t do that again.” With his voice, he pounds the word can’t. “Trinidad – is it very violent?” I ask. “Where do you think of as home?” I ask. He gets up from his chair and starts to make his way out of the room. Sir Vidia is now outside the door. But still I ask another question. Then he is gone. Nadira sits in Sir Vidia’s chair and speaks calmly. For the next 20 minutes or so she explained her husband to me. I listened but a lot of it wasn’t going in. I looked around the room. I look at the African puppets propped up on a table. Beside them there is a framed photo of Sir Vidia, smiling. There is an oil painting of a face, which may be his, on the wall. Although the colours are bright blues and yellows there is something dark about the painting. Nadira is telling me her husband is tired. I tell her I too am tired. I have been up since five. He is tired of life, she says, and then continues with a speech about her husband and how people all over the world approach him and shake his hand in thanks for his writings. Nadira used to be a journalist. So she cannot resist giving me a lecture on how to be a good journalist. Halfway through, Sir Vidia pops his head around the door. I am too tired to laugh. But there is a sense of the ridiculous about this. Is everything going OK? he asks her. She nods and then he is gone again. I can hear him pottering around upstairs. Nadira tells me how her husband worked so hard to get out of Trinidad, that he had a terrible life. His family suffered horrific poverty. The memory of it is all too painful. He cannot bear to read his own book A House for Mr Biswas. Nadira smokes one Dunhill cigarette after another and urges me to have some compassion. She urges me not to take Vidia’s swift exit personally. There is a knock on the front door. Nobody answers. Minutes later, the second knock is harder. It is the taxi. John was there to drive me back to the station. I had not asked for a taxi but the Naipauls must have decided on my departure. Nadira walks me out, pats me on the back and says that perhaps I will come back to interview Sir Vidia in 10 years’ time. Why would I want to? I ask her. He probably won’t be alive then, she replies. I cannot make up my mind whether she is trying to manipulate me by attempting to evoke my guilt or is simply stating the inevitable. John asks me how I got on. I tell him that after question three Sir Vidia stormed out. John looks both angry and crestfallen. He says he has never seen Sir Vidia behave like that. For a moment we ponder this. Could Sir Vidia be dying? Is that why he was so difficult? But then he has never enjoyed good health. Nadira had told me that even as a boy he had suffered from eczema. As the train pulls out of Salisbury I don’t feel angry. I feel an utter failure. And there is sadness too. The experience of meeting him has tainted my view of A House for Mr Biswas. To have so much humanity in print and not an ounce of it face-to-face. I think of my pile of VS Naipaul books at home. I am not sure I will ever read them now. It is my loss, I know. But the greater loss was meeting this great writer.